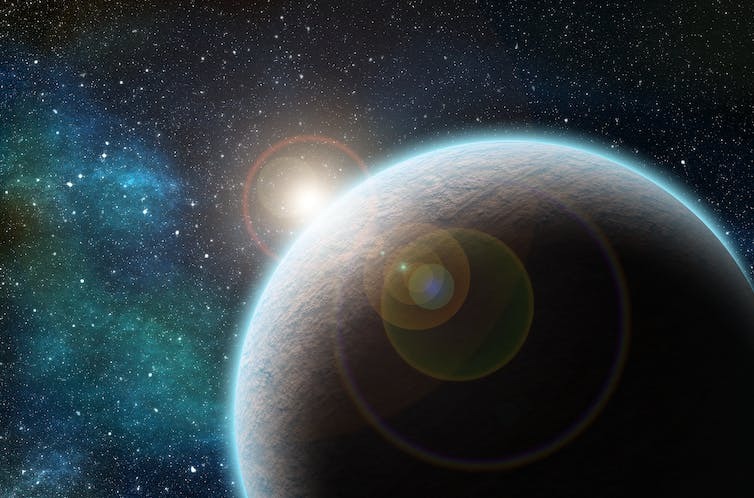 Professor Ian Crawford from the Department of Earth and Planetary Sciences writes on the significance of astrobiology for the benefit of society. This article was originally published on The Conversation. First, astrobiology is inherently multidisciplinary. To search for aliens requires a grasp of, at least, astronomy, biology, geology, and planetary science. Undergraduate courses in astrobiology need to cover elements of all these different disciplines, and postgraduate and postdoctoral astrobiology researchers likewise need to be familiar with most or all of them. By forcing multiple scientific disciplines to interact, astrobiology is stimulating a partial reunification of the sciences. It is helping to move 21st-century science away from the extreme specialisation of today and back towards the more interdisciplinary outlook that prevailed in earlier times. 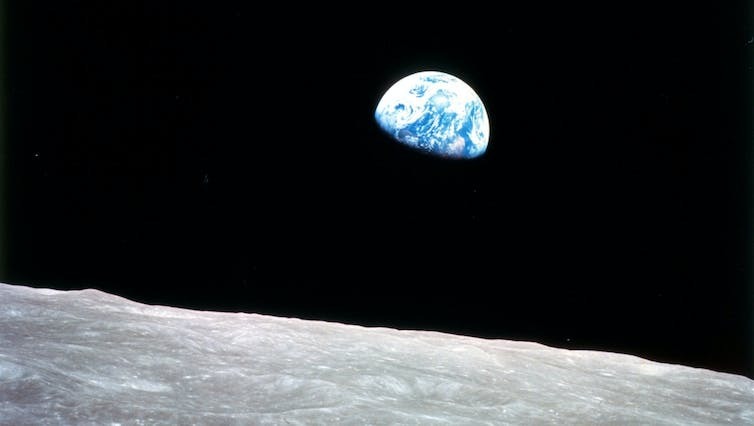 Earth rising above the surface of the moon, as seen from Apollo 8 in December 1968. By producing broadminded scientists, familiar with multiple aspects of the natural world, the study of astrobiology therefore enriches the whole scientific enterprise. It is from this cross-fertilization of ideas that future discoveries may be expected, and such discoveries will comprise a permanent legacy of astrobiology, even if they do not include the discovery of alien life. It is also important to recognise that astrobiology is an incredibly open-ended endeavour. Searching for life in the universe takes us from extreme environments on Earth, to the plains and sub-surface of Mars, the icy satellites of the giant planets, and on to the all-but-infinite variety of planets orbiting other stars. And this search will continue regardless of whether life is actually discovered in any of these environments or not. The range of entirely novel environments opened to investigation will be essentially limitless, and so has the potential to be a never-ending source of scientific and intellectual stimulation. 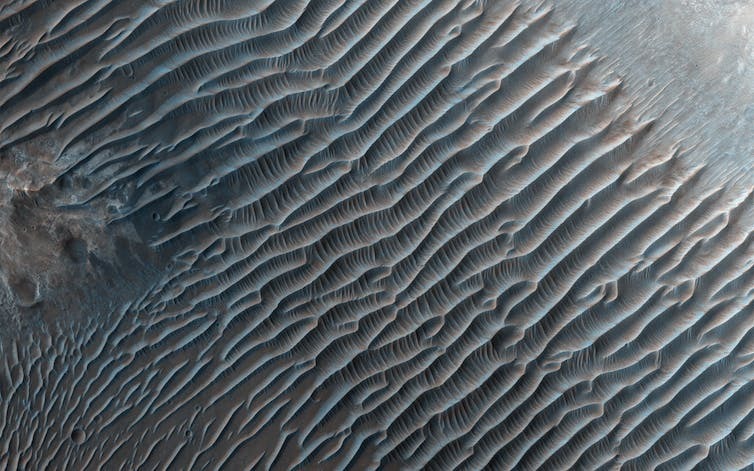 Sand dunes near to Mars’ South Pole. Beyond the more narrowly intellectual benefits of astrobiology are a range of wider societal benefits. These arise from the kinds of perspectives – cosmic in scale – that the study of astrobiology naturally promotes. It is simply not possible to consider searching for life on Mars, or on a planet orbiting a distant star, without moving away from the narrow Earth-centric perspectives that dominate the social and political lives of most people most of the time. Today, the Earth is faced with global challenges that can only be met by increased international cooperation. Yet around the world, nationalistic and religious ideologies are acting to fragment humanity. At such a time, the growth of a unifying cosmic perspective is potentially of enormous importance. In the early years of the space age, the then US ambassador to the United Nations, Adlai Stevenson, said of the world: “We can never again be a squabbling band of nations before the awful majesty of outer space.” Unfortunately, this perspective is yet to sink deeply into the popular consciousness. On the other hand, the wide public interest in the search for life elsewhere means that astrobiology can act as a powerful educational vehicle for the popularisation of this perspective. Indeed, it is only by sending spacecraft out to explore the solar system, in large part for astrobiological purposes, that we can obtain images of our own planet that show it in its true cosmic setting. 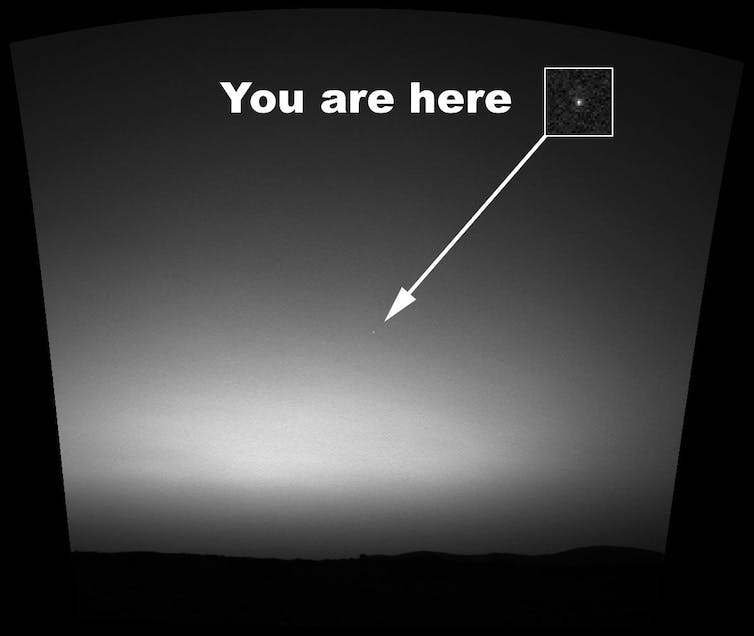 The Earth photographed from the surface of Mars by the Mars Exploration Rover Spirit, March 2004. In addition, astrobiology provides an important evolutionary perspective on human affairs. It demands a sense of deep, or big, history. Because of this, many undergraduate astrobiology courses begin with an overview of the history of the universe. This begins with the Big Bang and moves successively through the origin of the chemical elements, the evolution of stars, galaxies, and planetary systems, the origin of life, and evolutionary history from the first cells to complex animals such as ourselves. Deep history like this helps us locate human affairs in the vastness of time, and therefore complements the cosmic perspective provided by space exploration. 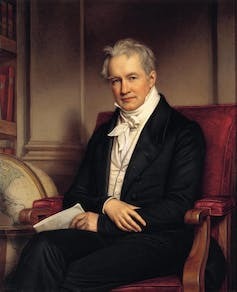 There is a well-known aphorism, widely attributed to the Prussian naturalist Alexander von Humboldt, to the effect that “the most dangerous worldview is the worldview of those who have not viewed the world”. Humboldt was presumably thinking about the mind-broadening potential of international travel. But familiarity with the cosmic and evolutionary perspectives provided by astrobiology, powerfully reinforced by actual views of the Earth from space, can surely also act to broaden minds in such a way as to make the world less fragmented and dangerous. I think there is an important political implication inherent in this perspective: as an intelligent technological species, that now dominates the only known inhabited planet in the universe, humanity has a responsibility to develop international social and political institutions appropriate to managing the situation in which we find ourselves. In concluding his monumental Outline of History in 1925, HG Wells famously observed: “Human history becomes more and more a race between education and catastrophe.” Such an observation appears especially germane to the geopolitical situation today, where apparently irrational decisions, often made by governments (and indeed by entire populations) seemingly ignorant of broader perspectives, may indeed lead our planet to catastrophe.